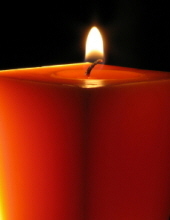 Celebrating the life of Robert J. Izzo Sr.
Obituary for Robert J. Izzo Sr.
on February 2,2019, of East Norwich, NY. Beloved husband of Barbara Izzo. Devoted father of Dawn Marie (Joseph) Occhipinti, Keri Ann (Bobby) DeFeo, Robert Jr., and John. Loving grandfather of Christopher, Samantha, and Ava. Dear brother of Neal, Angelica and Debra Ann. Also survived by loving nieces and nephews. In lieu of flowers please make donations payable to Hospice Inn 99 Sunnyside Blvd., Woodbury, NY 11797 ot to the Alzheimer's Association. To send flowers or a remembrance gift to the family of Robert J. Izzo Sr., please visit our Tribute Store. "Email Address" would like to share the life celebration of Robert J. Izzo Sr.. Click on the "link" to go to share a favorite memory or leave a condolence message for the family.